This user guide covers subscribing and activating Microsoft services for first-time users and for existing users. 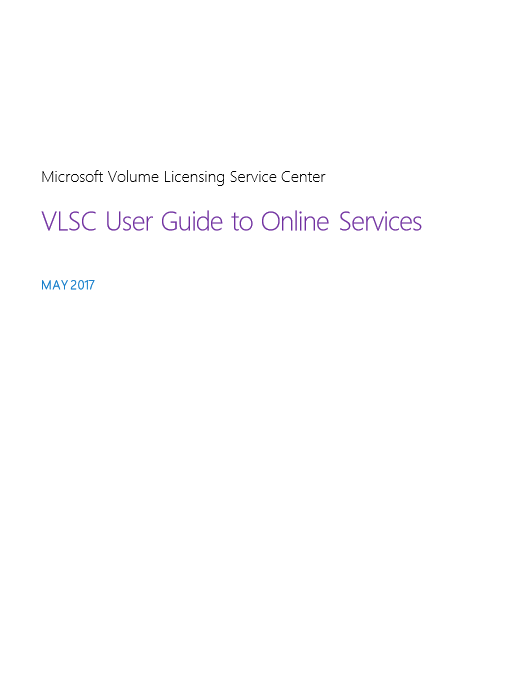 It provides details on using the Microsoft Volume Licensing Service Center (VLSC) to reserve seats or add new services, view existing services, and change people’s roles. The guide concludes with troubleshooting tips and where to get support for your services.